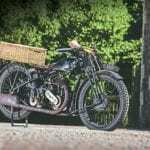 This highly original ‘cooking’ Royal Enfield 350cc single carried its first owner to and from work for 20 years and nearly 80,000 miles. 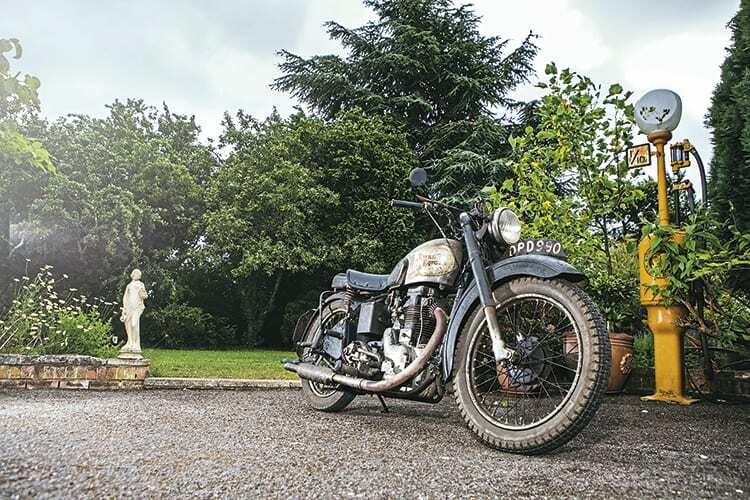 This magnificently patinated 1949 350cc Royal Enfield Model G was the latest project for retired garage owner Alex Taylor. “And the original owner never cleaned it – or changed the oil, I reckon!” laughed Alex, who luckily had the sense to leave things be, externally. 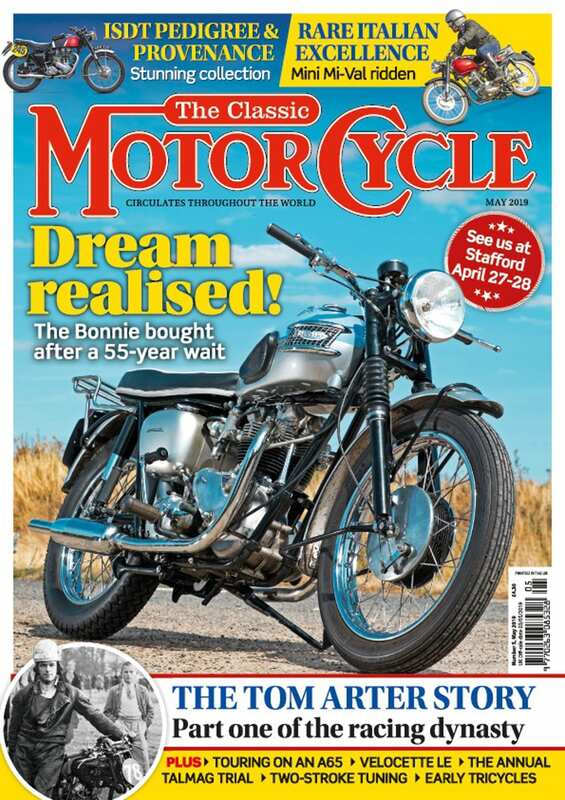 But allowing for hyperbole about the oil, which was probably changed infrequently rather than not at all, the machine’s condition would have been consistent with the history of a working 350cc single, bought by someone who didn’t want thrills or a hobby, but needed good, reliable transport to ride to work all week in all weathers. 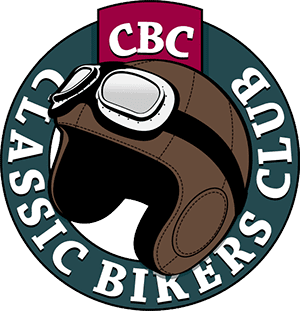 This Model G is a living testament to that 1940s and 1950s phenomenon, when 350cc singles ruled and BSA’s B31 was its top seller, like the AJS/Matchless equivalent 350s, massively outnumbering the 500cc version. 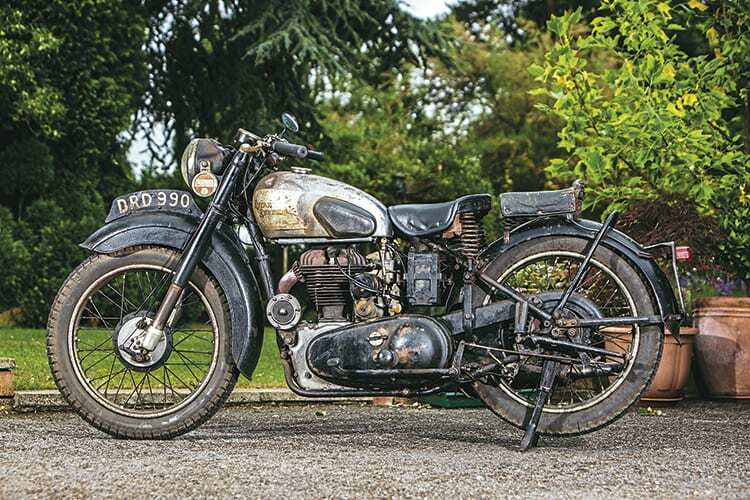 Not too dear to buy, not too hard to start, easy on petrol, cheaper to insure, and able to keep running even when maintenance was neglected – that was the ticket, and that was what Dr Kenneth Mansfield went for when he bought DRO 990 in 1949. This Model G was purchased from Jack Stocker’s dealership, Stocker and Shephard, in Reading. 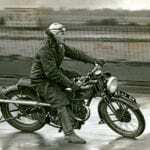 ‘Jolly Jack’ Stocker had been an Enfield off-road ace both pre and postwar, and latterly their competition manager, who prepared their twins and singles for the ISDT. 1949 was a significant year for Royal Enfield, as it saw the introduction of the 350cc G2 Bullet, with full rear suspension (when most other marques at best only featured compromise plunger springing), to go with their 1946-on telescopic forks; as well as an all-alloy top end for an engine which had been reconfigured to now put Redditch’s characteristic oil compartment in the crankcase behind the cylinder. Together with bolting the Albion gearbox tightly to its rear, this allowed the new-fangled rear-sprung Bullet to maintain the same compact, trials-friendly 54-inch wheelbase as the rigid Model G.
You can imagine that this cutting-edge model, a sports roadster easily modified for off-road work, would be the one that Stocker and Shephard might strongly recommend to any customers lucky enough to be in the market for a new machine. But whether it was the price gap – the Bullet was some £25 more than the Model G, though the latter’s £146 had to be supplemented by a further £3-10s for the speedometer, always an extra for the Model G despite being a legal requirement – Dr Mansfield chose the ‘touring’ 350. 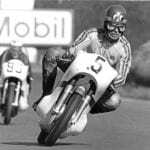 The ‘G’ featured an all-iron engine, with the oil compartment jutting out ahead of the cylinder, a rigid rear end and despite their sharing the same 70x90mm engine dimensions, a lower state of tune than the Bullet, meaning a top speed 5mph slower than the Bullet’s 74mph. 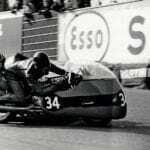 But Dr Mansfield, a college lecturer, had made a rational choice (and not just because the Model G was the cheapest 350cc single on the market, bar the B31). His commuting needs would be enhanced by the smaller Amal 276 carburettor (15/16ths v the Bullet’s one-inch) contributing to better fuel economy, vital with petrol rationing still in place; and even the Bullet returned 80mpg at 50mph, the Model G’s probable cruising speed. A notably low compression ratio of just 5.75:1 would make for easy starting (and a valve lifter was also original equipment); not until 1951, with rationing ended in 1950, and ‘pool’ fuel a thing of the past, would it be raised to the Bullet’s 6.5:1. And the 1949 Model G was a handsome package, with a fully chromed petrol tank in either 2¾ or an optional 3¾ gallon capacity. The tank featured red-lined frosted silver panels which bore the Royal Enfield name in bright red. 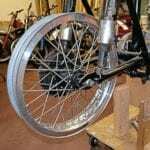 The chrome was picked up on the 19-inch wheel rims with their black-painted centres, and on the lower fork legs, which for 1949 featured polished fork ends. Read more in the December issue of TCM – on sale now!